Why a natural toothpaste recipe? Why do I like to use a natural toothpaste recipe? The iffy ingredients in most brands available in stores. Even a lot of “natural” brands contain risky ingredients. I don’t know about you, but I do not want to be greenwashed. Unfortunately, American laws lend themselves to greenwashing. Even brands with natural looking words and package design contain less-than-the-best ingredients. Sadly, deceptive tactics used by personal care companies are rampant here in the U.S. It is really important to read labels! Simple? Yes. But not always easy in our hectic world. Check your toothpaste labels. Do you see any of these ingredients listed? I'm not going to go into all the risks of using these ingredients, some are certainly more risky than others. But you can google more information about each easily enough. Let's just say I just don't want those things in my mouth. Nor in my children's. That's why I created our natural toothpaste recipe. Yummy flavor, so my kids will WANT to brush! Remineralizing ingredients would be ideal, but my first goal is to get my kids used to using homemade toothpaste before I add some of the mineral rich ingredients. I added some bentonite clay to my first batch, but the flavor was just too earthy for my nine year old. So I took it to use for myself, and I love it! Plus, so far my six kids have all been cavity free. Kind of amazing, considering my mouth full of fillings! So minerals are not the most important ingredient for the kiddos just now. My husband has really good teeth. I, on the other hand, have a lot of fillings. The kids must have more of his good genes, thankfully. Plus our diet probably helps a little, too. 1/3 cup Coconut Oil, mine was from Costco, but you can also get it here. a pinch of Sea Salt, mine was from Azure Standard, but you can also get it here. 1/4 teaspoon (or 25 drops) Berry Stevia, for flavor and sweetness (I bought locally, but this is a better deal). 10 drops Vanilla Stevia, for flavor and sweetness, you can get it here. 10 drops Mandarin Essential Oil, for scent and flavor (I got mine here.) This mandarin oil smells amazing. I LOVE it! Add ingredients in the order listed, stir with a spoon, and put in a small glass dish or jar. I may work on a recipe for a squeeze-tube version of this recipe, but this formulation is runny at warm temperatures, due to using coconut oil as the main ingredient. I like using a food-grade glass dish (a little Pyrex dish, like this, in this case) because it will not leach anything harmful into the toothpaste. 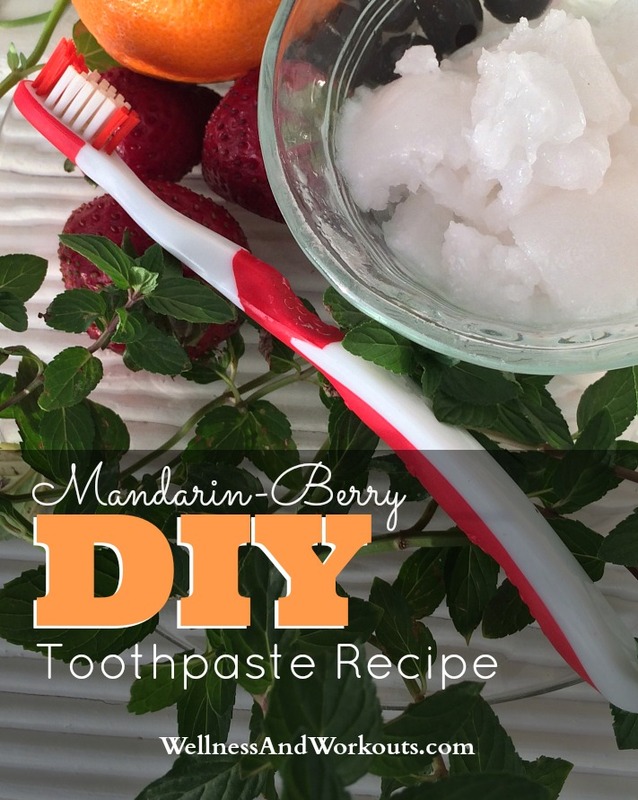 Ok, here is where I usually get grossed out with a lot of online homemade toothpaste recipes. I almost gag when I see photos of freshly made toothpaste, with a toothbrush dipped in to the large batch that is supposed to last a while. In one photo, the toothpaste contained charcoal powder (which is a GREAT whitener). But the gal who wrote the recipe rested the toothbrush in a shallow dish with the toothpaste. To me, it looked like a toothbrush in an ash tray! Ugh. It is one thing for my kids to share a water bottle, which gets washed daily (or close to it, if they are listening to my instructions, lol). It is another thing to add bacteria into the toothpaste that is intended to last for a few weeks or longer. Why use the toothpaste jar as a petri dish? Yuck! I can think of a lot of better ways to culture bacteria in our home. Like by making sauerkraut, or kefir, or kombucha (I love Mickey Trescott's Kombucha recipe in her AIP Cookbook). Yes, coconut oil is said to be antibacterial, but no. Just no. No turning the toothpaste jar into a petri dish. No dipping, please! In my bathroom, a little further from the kitchen, I have some cosmetic spatulas that came with my NYR Organic kit. I use them to keep bacteria out of my face cream, so I can use my own products to share samples with my local friends. I also use some for my toothpaste, and thoroughly wash each spatula after I’m done. You can get the spatulas from Amazon, or from NYR Organic when you join as a consultant, (if you like a bargain, you will LOVE the savings with the NYR Organic consultant kits). Well, that's my natural toothpaste recipe for kids. Have you tried making your own toothpaste before? How did it work? Let me know in the comments!